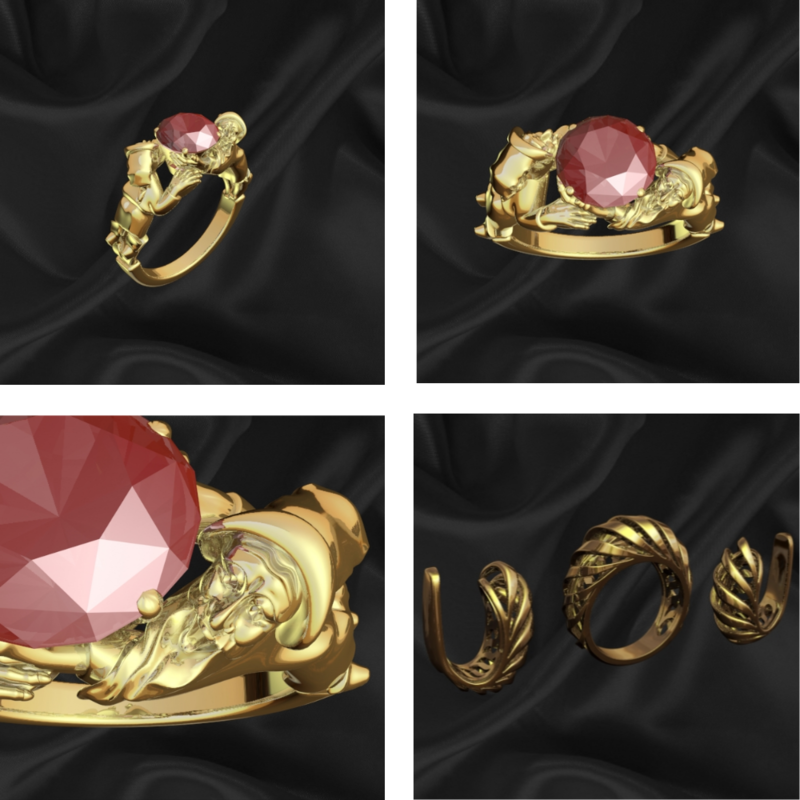 A showcase of custom made baubles, trinkets and jewelry design from the freelance CAD design and 3D modeling community. The jewelry or accessories we wear is often integral to our self-expression. As we go about our daily business, a brooch, ring, necklace, or bracelet is our identity stamp that represents our belief, faith, courage, or our aesthetic side by simply being the look of something that we want to wear. It’s inherent in us to notice what others are wearing for jewelry, and it has been that way practically since we evolved. Hunters might have worn a tooth of some animal that was killed around their necks to exhibit their prowess in providing food for the tribe. Certain ancient cultures were festooned with the jewelry they wore, such as the Mesopotamians and the Egyptians (think Cleopatra). In early societies, men wore jewelry to denote their status and as symbols of power and prosperity. The importance of jewelry and what it represents is still entrenched in modern society, and its ability to put the focus on individuals has helped create this sector. Goldsmiths, jewelers, gemologists, and diamond consultants have all played their part in creating precious pieces over the centuries. This artistic approach to molding precious materials requires substantial knowledge of the material, including composition, wearability, and fabrication techniques. Today’s freelance jewelry designers have a new tool, CAD software, which gives them the ability to create intricate designs or shapes that could only previously be imagined. Cad Crowd, an online company in CAD services space, is well placed to provide contemporary pieces with an extensive list of freelance members trained in jewelry design. 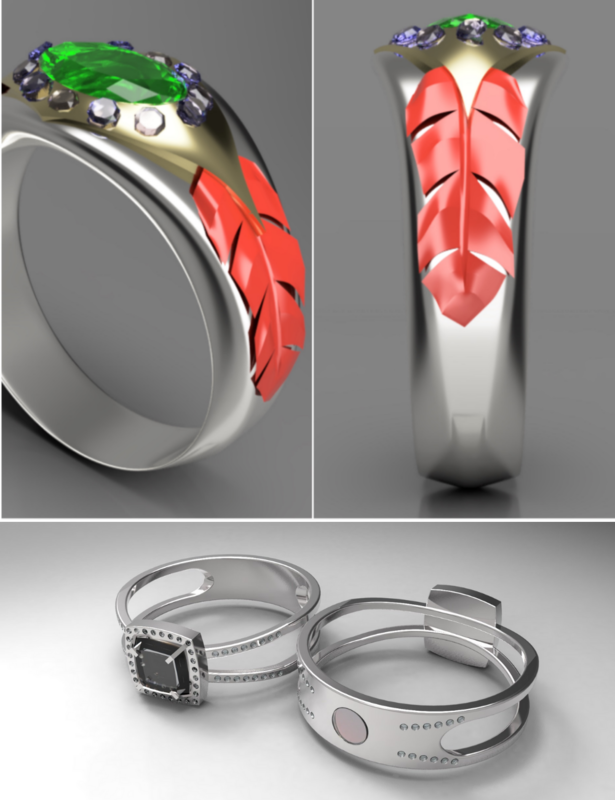 Using 3D conceptualizations and other software, 21st-century jewelry designers have been able to increase their number of original designs substantially. Imagine having someone like freelance jewelry designer Soumain from India working with you to create unique pieces. Look at the detailed work that has gone into this helix diamond ring before any precious metals or gemstones have been acquired. Before technology, to get such detail into this ring designed by Moscow-based Alchemix would be extremely time-consuming. Alchemix has a great deal of professionalism with over 15 years of experience in jewelry design. Any female would be proud to wear some of the creations from South Carolina’s Boykinae, who also happens to be a graduate from the Gemological Institute of America. 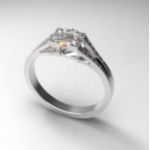 Using drawings submitted to Cad Crowd, or described through text, jewelry designers can get to work on drafting a creation based on your wishes. One such software program that enables this incredible procedure is Gemvision Matrix, created solely to design jewelry. In the hands of an expert, the results from this program are incredible and allow you to approve or modify the item before the actual piece is created. The results are flawlessly professional. They have to be when one of the world’s most prestigious jewelers, Tiffany & Co., trusts Cad Crowd with their projects. Probably one of the most significant selling points is the incredible savings from having a freelance jewelry designer create a unique piece. In comparison to conventional methods of jewelry design, the Cad Crowd route is a fraction of the cost. Pieces such as wedding bands and rings that uniquely show your devotion will have people thinking you spent far more than you did. One approach to increasing the number of designs from jewelry designers in Cad Crowd’s database is to have a contest. Provide the prerequisites and a deadline, and you will suddenly have professionals from around the world competing to win the award. The winning entry is entirely your choice, and you also get to keep all the other submissions. 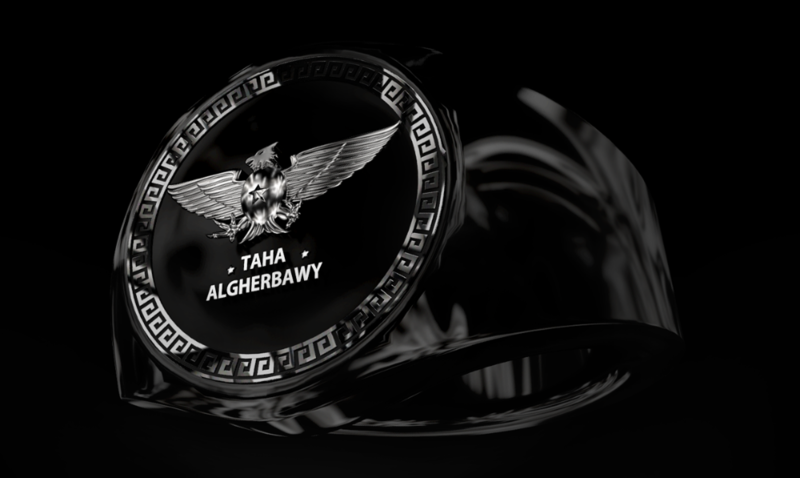 This ring by designer taha was one entry out of 32 submissions in our CAD design contests. Designers Anne Pauley and Lionel Glaro provided these submissions for the custom ring design contest and jewelry designer for wedding ring contest respectively. Contact Cad Crowd to learn how the freelance CAD community can help you create your custom-designed jewelry. The company’s quality control ensures the finished product will be an everlasting creation tailored to your specifications. You will never have to worry about seeing another piece quite like it because it is your original creation.